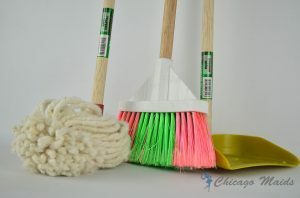 Maintain a clean home at all times • Chicago Maid Co. In the day and time that we live in, having a well sanitized, tidy and comfortable home sounds more like a mission impossible than anything else. The thing is that after spending eight or more hours in the office, the last thing every homeowner would want to do when they come back to the house is cleaning. That is why many people leave the chores for the weekend or postpone them indefinitely in time, until they become quite hard to tackle indeed. Well, it should not be that way for sure. Fix all small problems that you have around the house. For example, a leaking faucet not only leads to wasting water which is inexcusable, but can be quite irritating too. So, fixing those problems might turn out to be a good idea if you want a comfortable home. Invest some money into efficient cleaning equipment and products. The right tools are going to help you clean much faster and better, which is one of the main goals before us here, right? Divide the work into manageable chunks. The big mistake with leaving everything for the weekend (or any off-work day you have for that matter) is that the tasks are piling up. Tackling everything at once is not only exhausting, but it also puts much psychological pressure on you too. Make Tuesday laundry day, vacuum the floors on Monday and wash the windows Saturday. Another important thing to remember is that you should not move on to the next task until you have finished with the one you are currently working on. Get everyone in the family involved. It is never too early to help your kids built healthy habits so leave it to the little ones to load the dishwasher after dinner or clean their own rooms. You and your partner will be able to manage a certain big cleaning task together much faster than if one of you is binge-watching their favorite show on Netflix. Remove stains as soon as they occur. The same thing can be applied to literally anything related to the sanitation of your household. The longer you wait, the harder it becomes for something to be cleaned. If cleaning is not your strong suit or you are really too overwhelmed by other responsibilities, there is nothing bad to sign up for professional cleaning services. Such a thing is no longer a privilege of the richest in our society. A pro cleaner will achieve the results you have been hoping for without the need for you to make any compromises. In the end of the day, this might be your best strategy indeed.